Marine Electronics Reviews | Read our reports on marine electronics, marine GPS chartplotters, marine VHF radios, and more. Our independent unbiased reports will help you choose top rated marine electronics and electrical gear for your boat. We make it easy to pick the right gear for your boat and budget. Marine Electronics Reviews gives our readers straightforward facts and opinions, that are simply not available from any other sources, on how well a product performs in the real world. Our product reviews are not rewritten, rehashed, or regurgitated press releases often portrayed as a review by other publications or websites. We extensively research every piece of gear and we do our best to install and test out the electronics we review. We test everything electronic or electrical you might find or use on a recreational or small commercial boat. After you have picked the right piece of gear use our knowledgeable installation tips to get it installed on your boat the right way. So far we’ve tested and posted reviews on everything from small boat autopilots to marine VHF radios to marine GPS chartplotters to fishfinders to image stabilized binoculars to electric bilge pumps. As we continue to test products in these groups we’ll keep posting the results. 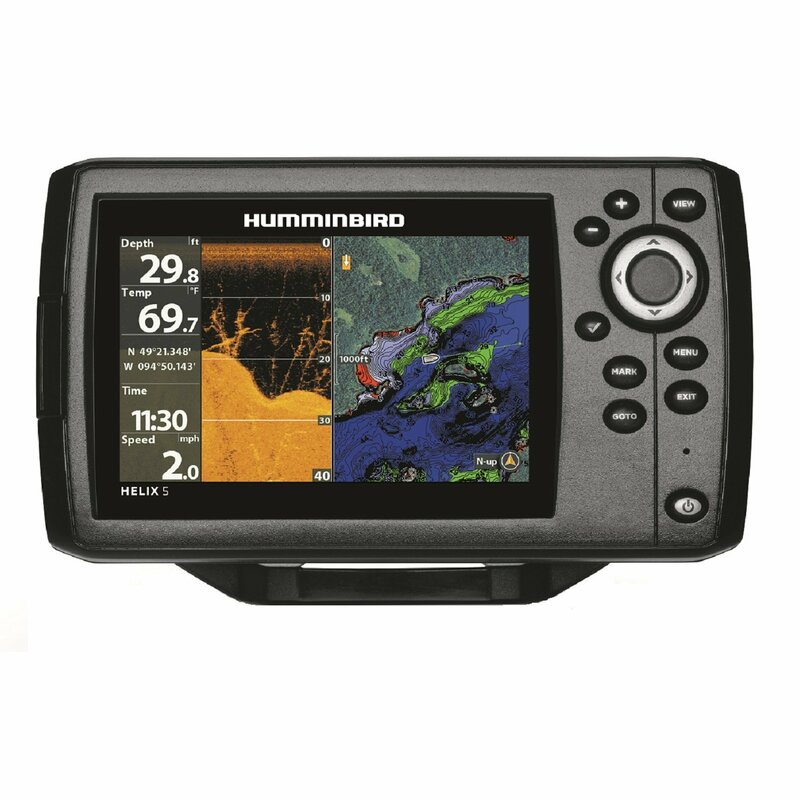 Our posted marine GPS chartplotter reviews cover a wide range of units from stand-alones capable of providing basic GPS navigation and mapping to units that combine navigation with an internal fishfinder. We have also reported on large screen multifunction displays that network data with a variety of other sources like black box sounders, radar, satellite receivers, and AIS units. We have also looked at a number of marine autopilots, weather receivers and most recently added coverage of satellite phones and a handful of miscellaneous pieces to our gear lineup. You will also find extensive “How To” coverage linked from our boat electronics page. In the most recent reviews posted, when applicable you’ll find a table added in the right hand column containing gear specifications. In reports where specifications are a critical component you’ll find a large table in the center column. Many of our reviews also feature “Compare Prices” links where you can search for the best prices for each piece of gear we review and purchase the unit of your choice without further shopping or search.